Microsoft Access is a tool to manage information that helps you store information for reference, reporting and analysis. It can help you to overcome limitations you may find when you try to manage large amounts of information in Excel or other spreadsheets. 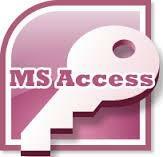 This Microsoft Access training allows you to take control of your data using this relational database software. This course will teach you basic features of Access, and will cover what you need to know as efficiently as possible. This course will also get into the details of database design, and creation. Finally, the seminar will explain how a database can be used for efficient management and control. This seminar prepares for the ECDL and MOS respective certification. This course is for anyone who wishes to build a database for efficient management of large amount of data. The purpose of this seminar is to teach the participants the advantages of using an efficient database system. The seminar will also get into the details of database design, and creation and will explain how a database can be used for efficient management and control. The participants should have good knowledge of the Windows environment and be able to open and save files in this environment. Basic knowledge of any Microsoft product (i.e.MS Word or MS Excel) is recommended. No previous experience with databases is needed.